I haven’t had much experience with ballet in general, but I liked the dance’s main applications in the show. The expressions conveyed in the movements of the performers, especially without the use of words to help with them, held a strong power especially in showing how difficult it was to even perform a lot of the moves in the first place. But even simple movements were powerful; there was something about Princess Tutu’s “shall we dance?” mime that just worked for me, for example. The use of ballet fit with the storybook setting well, and it made you take more notice in how a person felt, regardless of if the dancing was graceful, more forceful, or something all over the place; even Ahiru’s constant difficulties in dancing served as a metaphor of her character (and that’s about as “deep” as I want to get here :P). The climaxes at the end of the first half of the show and the end of the show itself especially are helped by the dance, making those poignant, powerful moments. At the same time though, these feelings directed to the audience can be over expressed (kinda like with musicals and how they can “over-sing” to me), and sometimes I would laugh at something that was supposed to be serious in the first place. It did help that I also laughed at things that were supposed to be funny as well; I only wish there was some more Femio in the show, for example. The thing was, I think the ballet did such a good job of conveying the emotions of the characters by themselves that there was little connect with the characters themselves. Because of that lack of attachment, I didn’t really care about things like the fates of the cast, even though that was one of the main points of the story. Part of the strength of the show apparently is supposed to come from the undercurrents of a tragic love and a tragic fate running throughout this storybook tale. Yet even knowing what this meant for Ahiru, Rue, Mytho and Fakir, and even as the characters were experiencing the consequences of that in terms of love, identity, fear and the like, I didn’t really feel for them. This despite the strong character development that people like Rue and Fakir undergo, which is strange. And it makes me feel bad if Drosselmeyer, for all his seemingly twisted purposes as author of the story, cares for what he makes his characters go through more than I do. Though in his case, it makes sense as the creator, narrator, orchestrator and the closest thing to a God probably in that world. Grace and tranquility. Most of the time. 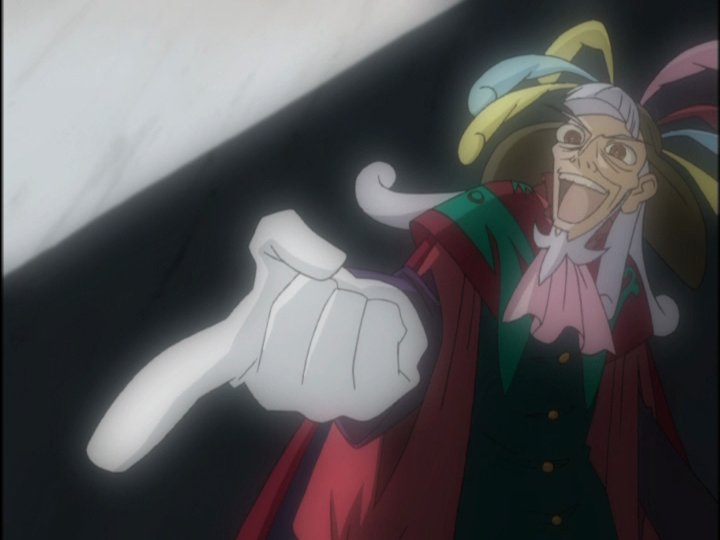 One of the things that I like about Princess Tutu is that its story is what I’d call “deliciously meta”, especially given how the focus is on Drosselmeyer and how he seems at times in perfect control with what happens in the story, despite what seems like a hands-off approach in letting things play off. The questions of whether or not one can fight their fate, or whether one should just sit back and accept their fate are one that have been asked time and again. But they have a different weight since we actually see the author try his damndest to actively write down his own answers to the question while we’re also seeing if the characters can come up with their own answers. And while it seems as if both are separate entities, there’s still the ever-present question of whether or not the conclusions that the cast come up with are truly their own. “Who really writes the story?”, that is, and this isn’t even considering what we as the audience make of things. I enjoyed the wrench that the show throws into that question by switching some of the roles of the characters involved near the end, though the resulting execution leaves a bit to be desired. Was Princess Tutu a satisfying experience as a whole? I’d liked what they did in their premise of deliberately making a storybook tale much more thoughtful then it looks on the surface. But I also worry if I grasped the main point of the story or not; if I looked at the show in the right way; if I understood what love really meant to Ahiru, Rue, Mytho and Mr. Cat; or even if I got of the morals right (like “keep moving forward” or lol “the pen is mightier than the sword”, etc.). It was entertaining to watch all the way through, but it would not be a show that I would be picking up and watching again anytime soon. It would be a show that I could recommend to people though; I would just have to think about which type of people would really enjoy the show though. That being said, even though it took almost till February before I could get this post out, and thus missed the deadline of Christmas week by a month and some days, the Secret Santa project was fun. Thanks to Reverse Thieves for executing this project, and for Powered by Sugar for suggesting Princess Tutu to watch and write about. If this happens again this year, I’d like to participate again, and thinking about how my schedule will be, I think the turnaround time will be much faster. At least it would be faster than the time it would take Mr. Cat to finally get married. Ahiru is not amused at that prospect. I’m glad you enjoyed it for the most part! Princess Tutu is one of my three favorite anime of all time (the other two being Haibane Renmei and Gankutsuou), so I tend to wilt a little bit inside when people haven’t even seen it, especially when they’ve watched a lot of anime. I admit I can see why some people wouldn’t connect with it too strongly, though for me it had a powerful emotional impact, and Rue’s story and near-fate in particular had me to tears. I don’t cry often from fiction. It’s one of those shows that has an odd hook, I think. It doesn’t catch as many people as other shows do, but the ones it does catch it grabs hook, line, and sinker and there’s no escape. And don’t feel too bad about how long it took you to get this up. I’m horrible and still need to finish my show. I somehow got a really bad case of burnout towards the end of December and am still trying to recover from that. “Who really writes the story?” Love that. It looks and sounds largely otherwise, but you’re making this seem like a narrative epic. Which is awesome, because I imagine a narrative epic with fairy tale elements + ballet to be some sort of penultimatum. What threw me off was the duck though. He reminds me of moetan, and that was a ways from epic. Actually, it was ‘epic’ in its own way. This had always been in the back of my mind since I saw “Hold Me Now”. Looking back, it’s quite spoilerific, but that little AMV sold me on a premise I wouldn’t have otherwise touched with a 20-foot pole. I’m very glad I did finally see it, and glad that you enjoyed it too, though measured your reaction is. This wonderful little series came out at the same time as Haibane Renmei (or nearly so). My college anime club showed the two series at the same time, and we were surprised at the depth shown by a series with such stereotypical anime designs and such a ludicrous premise. I’m glad you enjoyed the series — like Stringed, Princess Tutu is among my favorites, with a strong cast, and several characters that I found myself “rooting for”. I liked the way in which my original view of some of the characters completely changed by the end of the series. And it also has a lovely, bittersweet ending — one that doesn’t cop out in the conflict the series set up — with a pair of noble and heroic main characters. Another thing I liked about the series was the way in which my original view of some of the characters was completely changed by the end of the series. This is my favorite anime, so I’m glad you watched it! Stringed: I think you hit it on the head that when it hits, it hits, but it doesn’t hit for a lot of people, including myself. Ningyo: You could say that it’s an epic, with how the story progresses, and I’d say check it out. 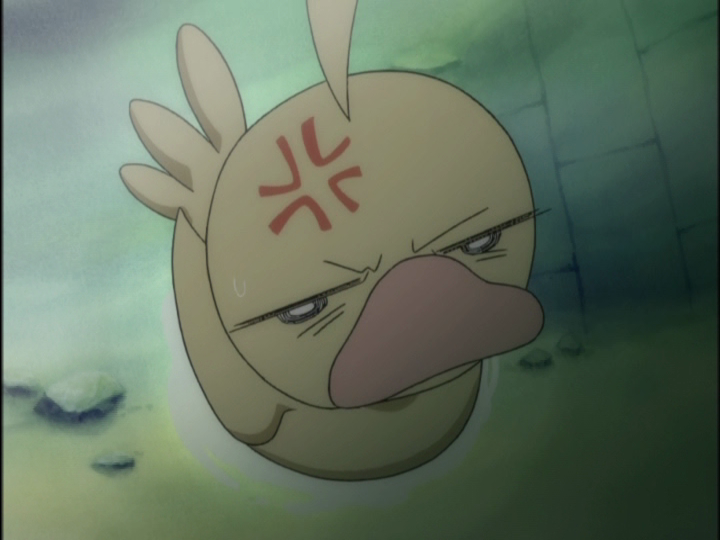 kadian1364: I think that specific AMV turned a lot of people onto Princess Tutu that otherwise wouldn’t have bothered with it otherwise. It did a good job advertising the show, which is a nice bonus. 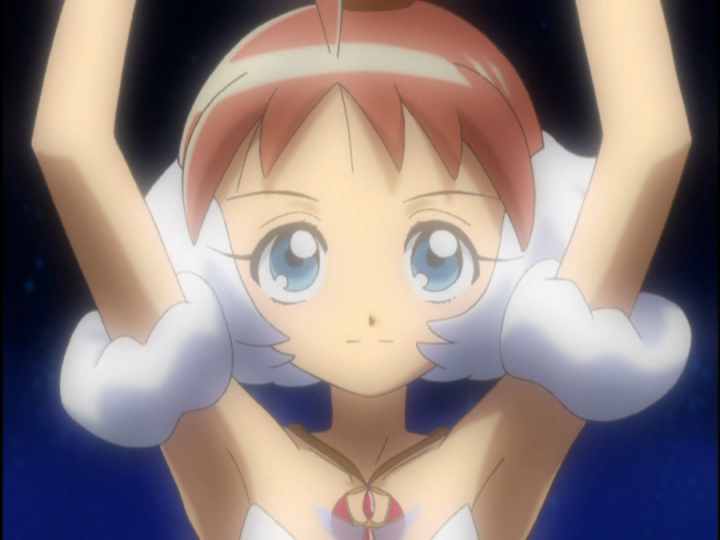 dm: There have been other shows that have done to me what Princess Tutu did to you in regards to having a nice change of heart on some characters with progress. This specific example didn’t really do that for me. I did also enjoy how the ending worked out, but it did still feel not as well done as it could have been, but hey.